There will be people reading this whose response to this question is, “No – I enjoy drinking and I know it’s not a problem in my life.” To you I say, congratulations, go forth and enjoy a drink or two for me! But there will be others reading this who have niggling doubts lurking in the back of their mind saying, “Yes, my drinking is worrying me”. And you are the people this piece really hopes to help. It’s three years since I drank any alcohol and for a very long time before I called it quits I knew it was slipping away from me. I felt guilt, shame and absolutely crippled with fear and anxiety. Every time I write about quitting booze I get a flurry of messages from people who are worried about their own drinking, concerned about their partner or a friend. You are not the only person who feels shudders of dread/guilt. The fact that you’re even putting thought into this is a good sign. You are not the only person who feels that they’re hiding their drinking from those close to them. You are not the worst person in the world. You are not the only person who is drinking alone. You are not the only person whose relationships are being affected by your drinking. Now I have a little clarity I would say that the most important factor I did not understand was why I was drinking. I had no tools to deal with stress, I was lonely, unhappy and all of this mounting pressure cooker contributed. Time after time I would start the week with good intentions about cutting right back but there was always an excuse. And that is the truth: there will always be an excuse to drink if you don’t draw a line. Next week turns into next month before you know it it’s Christmas and you don’t stand a chance. If you clicked on this article and didn’t answer “Nope” straight away, you have absolutely nothing to lose by talking to someone about your drinking. Speak to your GP who will be able to point you in the direction of experts in your local area. Or if that feels too daunting, send me a message and we’ll see if we can shine a little light and reassurance your way. Most importantly, let’s plant a seed of hope today because you don’t have to battle alone. Those are wise words. So, ask yourself the title question again and make today the day you draw a line, take a deep breath and start finding some peace of mind. http://www.mygc.com.au/wp-content/uploads/2018/10/Alcohol.jpg 321 845 Corrine Barraclough http://www.mygc.com.au/wp-content/uploads/2016/04/mygc-logo.png Corrine Barraclough2018-10-30 13:55:422018-10-31 06:21:55Has alcohol become a problem for you? Someone asked me over the weekend why I don’t drink anymore. It feels like a different lifetime when I was a hard-partying social butterfly. Now I can honestly say that I don’t drink anymore because every area of my life has improved without it. I’m happier, healthier and have earned my own trust back. Finally, I quite like me. It’s been three years since I drank any alcohol. I never imagined I’d be able to say that. I don’t drink it, eat it in food, cook with it or even eat it in chocolates. There is no alcohol in my home and there never will be. Drinking stopped being fun for me a long time before I called last orders at the bar. I started drinking when I was 17 and it was fun for many years. But it turned into an unhealthy coping mechanism and in the end I lost control of it. It was destroying me. No, actually, I was knowingly destroying me and alcohol was the substance I used to enable that. Unfortunately, I didn’t have that clarity at the time. That is why I saw no future. When I crossed that line it was incredibly hard to stop. I had known that my drinking had become a problem for a very long time but I drowned that out in denial. Honestly, I didn’t know where to begin with changing my life. This is why I will always talk about how awful life became for me; I know others are still stuck living that nightmare and that makes me feel physically sick. The amount of empathy and compassion I have for those still struggling is immense. Those dark times changed me as a person and I’ll never forget that. I would wake up with tears rolling down my cheeks in the night. I would lay on the cold tiles of my bathroom to try to calm down panic attacks. Part of me wanted to tackle it but it had gone so far that I’d forgotten how to live without it. Getting home from work, opening the fridge and pouring a large glass of wine was as much part of my everyday as brushing my teeth. I’d forgotten how to unwind without it. I had no tools to deal with stress without alcohol and I had no idea who I was as a person behind a hard-working, hard-drinking, hard-partying persona. The problem was that stressful days drifted into unhappy years so I numbed my unhappiness rather than begin to unravel any of that. I lost sight of my own truth. Even thinking about it now makes me sad for who I was then and how nearly I didn’t make it. I was years into an incredibly demanding career that wasn’t making me happy. Unfortunately, I didn’t realise that at the time either. It’s taken me years of sobriety and a daily focus of working on myself to begin to find some answers. I had never addressed childhood trauma. I did not understand the contributing factors that triggered major depression and anxiety. There are so many years of awful, heartbreaking trauma for me to unpack. And that is why I don’t drink anymore: I’m done with making my life harder. I want to enjoy putting myself to bed early, waking up early and feeling glad to be alive. I’ve found a new way of living and I’m so relieved those dark times are in the past. As I walked my dog down the beach path early this morning I had a moment. I looked at the sky, the trees, two lorikeets flew past and I smiled. My life is very different now compared to the dark days that nearly ended it. A large part of my newfound contentment in recovery is my beautiful dog, Baylee. My plan was to foster dogs who’d been abandoned, smother them in love and then wave them goodbye as they headed off to their forever home. 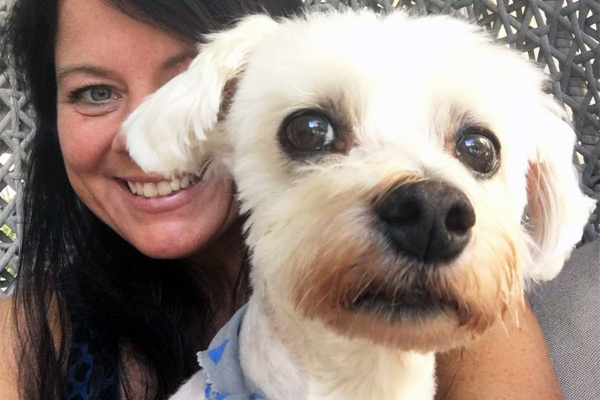 I’m not sure what Baylee’s life was like before he ended up at Animal Welfare League Queensland at ten years old. When I first brought him home he was shaken, bony and too scared to make eye contact. I sat on the kitchen floor to hand feed him, told him he was beautiful and sang to him at bedtime. Nine months later he’s rounder than he was. His eyes are brighter, his coat is healthy and our bond is strong. His tail wags whether he’s awake or asleep. He snores very loudly and it makes me smile no matter what time it is. Every day I’m thankful for Baylee rescuing me. Dogs can be brilliant for people living with depression. He gives me a reason to get up in the morning and a reason to get outside when I could otherwise choose to hide. Days feeling paralysed with fear have fallen away. Being around dogs can calm down our breath, speech and minds. Research has shown the healing power of touch; stroking a dog can reduce stress. It can also lower blood pressure and heart rate. Laughter and love both release the chemical serotonin, which is known as the ‘feel-good’ chemical in our brain. Now serotonin is being flooded around my body every day, those symptoms of depression have decreased. This is all really good news for introverts! Dogs are distracting which is good news for anyone with a mind that sometimes races. My little dog trusts me and that gives me a giant lift. It’s been good for me to have a responsibility outside work. Depression research has shown that responsibility promotes mental health and caring for another creature builds self-esteem. There is an unconditional love which is hard to describe until you’ve felt it. Some of the people I interview for work have had really difficult lives. Their stories are intense and phone call interviews can be emotionally draining. Taking Baylee for a walk in the fresh air to admire the gorgeous Gold Coast scenery helps me to reset and recharge. Exercise is as good for me as it is for him. Do you have some spare money? (Not a fortune, but vet-bills aren’t zero). Have you pooch-proofed your home? If you want to know more check out Animal Welfare League Queensland. In her new book Always With You (Rockpool Publishing $29.99), acclaimed psychic medium Debbie Malone shares some of the readings she’s done over the years. A powerful collection of experiences with the other side, her new book offers messages of love, loss and reconnection, and provides a fascinating insight as to what lies ahead in the world beyond. We interviewed her about her new book, and some of the stand-out stories within. I’m the biggest skeptic ever – I didn’t want to be doing this work! I fell into it by accident, something I talk about in my first book, Clues from Beyond. That’s why when people say they don’t really believe in this, I say, ‘I get it, I understand’. I’ve always been very skeptical, but I have also always been very open-minded to the possibility that we are protected from above. I once did a reading for a man from England. His mum had died of pancreatic cancer last year, and even though he was not much of a believer [in the work I do], he came along after a friend convinced him to. His mum was telling me all these things about peony roses, where they were in his house, that type of thing. He said, ‘How do you know my house looks like that – how do you know these details, only mum and I know that?’ He’s a believer now! It’s lovely to know that his mum is still there, and keeping an eye on him. Why do good things happen to bad people? I question this all the time. The hardest and most heartbreaking part of the work I do is meeting with people who have experienced great tragedies. I did a reading for a beautiful woman at the beginning of the year. She’d fallen pregnant with twins, and when she was seven months pregnant, she delivered and they only lived a few hours. I could see these two beautiful little girls in spirit, and they were rubbing her belly, telling me another baby is coming soon. I said, “You’ll be pregnant by Easter.” I made her a special memorialised piece of jewelry and when she came to pick it up 4 weeks later, she told me the exciting news: she was pregnant again. Some of the stories in the book were unfolding as I was writing the book, especially the one with my son Blake. It’s a story about his past life. It came about by accident, really; he’s always talked about the army, even from the age of 2, he would talk about seeing the men with arms and legs missing – it was quite terrifying! He’s now 24, but he’s been talking about the Army his entire life. He always wanted to be a gunner. One day I was researching my grandfather’s war records. My grandfather is Bernhard Ernest G, and I came across a record for Walter Ernest G – he was born on my son’s birthday, exactly 100 years before. He was discharged from the Army on my birthday. I tracked him further back, and discovered he was actually born in Randwick and was interred in an unmarked grave just near my office in Sydney. My son Blake then went under hypnosis, and he discovered memories of being Walter. He actually saw himself on the battlefield, trying to find his mates during World War I. It’s incredible to make these kinds of connections with loved ones – you never know what’s going to come out! The biggest message I want people to take away from the book is the fact that we’re never really alone. Our loved ones will always get your attention. Our guardian angels are there – I’ve had many adventures when travelling, and my angels have saved me. One time in particular, I went in a helicopter and we had to make an emergency landing, after the helicopter malfunctioned. I believe my guardian angel saved us that day. Our loved ones are always with us – their love never dies. If you’ve ever felt the undying urge to recreate that scene from Ghost (yep, I’m talking about the one on the pottery wheel), this one’s for you. 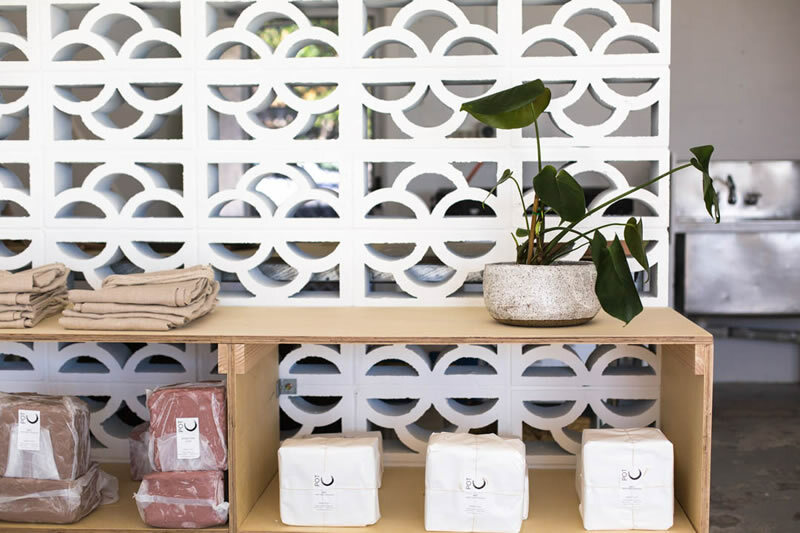 POT in Tugun is a pottery school designed to teach you all things clay. Learn the art of pottery at POT studios four-week introduction courses in either hand-building techniques (HAND) or wheel throwing (THROW). 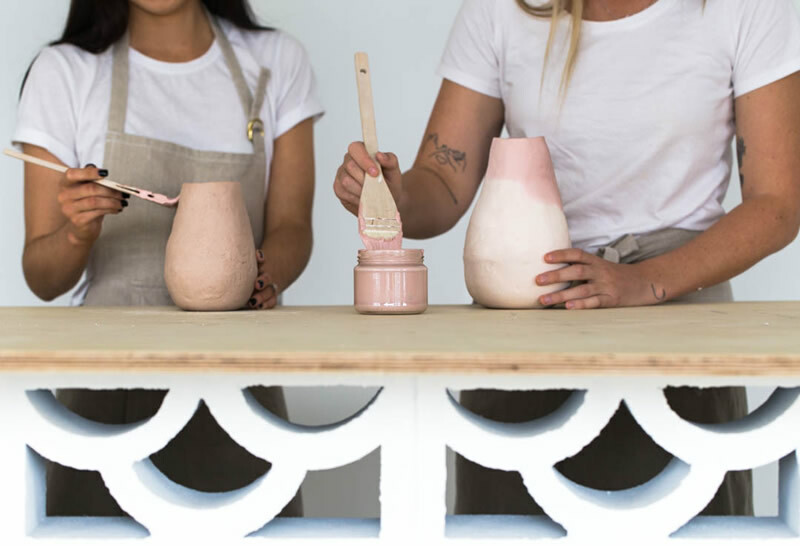 Get the low down on how to use the clay, tools and equipment – and in just four short weeks’ – you’ll go from a block of clay to a glazed pottery piece that will undoubtedly go straight to the pool room. Once you’ve completed either of the HAND or THROW courses, you’re invited to the MAKE sessions, where you get full use of the equipment and guidance from a pottery mentor. To attend POT workshops there’s no experience required – just a fun attitude and the willingness to get your hands dirty.